Great sermon at my church Sunday. We’re doing a series on Living Proverbially, which means, in accordance with what the book of Proverbs teaches. I like the way our pastor and the others who have preached have dealt with the topics. Above all, they have not come across legalistically. They also have not approached Proverbs presumptively, meaning they do not teach that God MUST do X if we but do Y. This last Sunday, my pastor, Darin McWatters, began by reading chapter 31, which is often considered the description of what a wife is supposed to be like—hence, the idea that the chapter is just for women. But Pastor Darin pointed out that the chapter is instruction a King Lemuel received from his mom concerning what he should look for in a wife—instruction that he passed on to his son. In truth, the admonition is directed to men about women. I couldn’t help but think of an article I saw on the internet recently stating that men preferred women who were debt free and did not have tattoos. Well, there you have it, I thought during Sunday’s sermon, those men are looking for the wrong thing. And the women are enabling it! Oh, the article author seemed to be saying, men want this wrong, skewed thing, and that inconsequential thing, so by all means, girls, be sure you give the guys those things! Above all else! King Lemuel was stepping in and correcting his son, telling him he had to get his eyes off the wrong (or foolish) and the inconsequential. This attitude of pleasing men by being debt and tattoo free, makes me think of the Pharisees of Jesus’s day. They demanded certain external things too. They weren’t interested in who had a heart for God, who was loving His neighbor, and certainly they were not concerned about who had repented of their sins and received forgiveness. Guys who are only looking at a statement of debt and what tattoos are showing, are just like those Pharisees. But what guys are supposed to be looking for are the qualities that all of Proverbs has already featured. In other words, the very things that the first 30 chapters have addressed as part of Solomon’s advice to his son. They can be categorized in three general statements: recognizing one another’s intrinsic value, serving each other sacrificially, expressing our love for one another. Pastor Darin did an amazing job of showing parallels from chapter 31 with other verses in Proverbs, each falling into one of these three areas. As he spoke, another thought came to my mind—something I learned years and years ago from a pastor addressing what the Apostle Paul said was his idea and not from Christ. These verses were still in the Bible, still inspired by God, still given to him by the Holy Spirit. And, all Scripture, not some, is profitable to the believer. It will teach us or reprove us or correct us or train us. God will use it in our lives. So too with Proverbs 31. What if it actually were written just to women? Men could still learn from it, should still learn from it. It’s in the Bible so it falls into the category of all Scripture—inspired, profitable. But clearly it’s not a “to women” passage: “The words of King Lemuel, the oracle which his mother taught him” (Pro. 31:1). I like what Pastor Darin did next. He said the passage could be viewed sort of like the satellite image someone can see using Google maps. First you can zoom in and see your house, then take it out to see your block, your city, your state. So, too with this passage. The close up view shows us ourselves, but then we see ourselves in relationship with our family, our church, and the ultimate, as part of the Church, with Christ. After all, we are His bride, He the bridegroom. We are to speak highly of Him, serve Him sacrificially, express our love to Him. In other words, God’s principles work on every level! They aren’t just good ideas or helpful in marriage. They are truths that should infuse our lives and affect every level of relationship we have. Oddly, this sentiment co-exists with a sort of artificial humility that has Christians backing off from knowing anything. Rather than offering a defense to everyone who asks us to give an account for our faith (1 Peter 3:15), we are now, apparently, to say spiritual things are a mystery. It’s a type of Christian agnosticism. “For My thoughts are not your thoughts, Nor are your ways My ways,” declares the LORD. “For as the heavens are higher than the earth, So are My ways higher than your ways And My thoughts than your thoughts” (Isaiah 55:8-9). Because God is Other, we will never figure Him out. Does that mean He remains cloaked in mystery? Actually no, for one reason, and one reason only: God chose to reveal Himself to us. Clearly God has made known what Mankind needs to know, first in creation, then through His Word, His Son, and finally by His Spirit. The interesting thing is, the more we see of God, the more we see of God. In other words, Christ, who is the image of the invisible God, makes reconciliation with God possible. To those who believe, He gives His Spirit who in turn teaches us all truth and brings to remembrance all that Jesus said (John 14:26). And of course Jesus said what He received from the Father. In addition, the Spirit “searches all things, even the depths of God” (I Cor. 2:10b). In his first letter to the church in Corinth, Paul continued to explain the working of the Holy Spirit. Then he concluded the discussion with this amazing statement: “But we have the mind of Christ” (I Cor. 2:15). So … it’s a fair assumption, then, that Christians have answers, even to hard questions. I suspect the problem has never been about not having answers but about not liking the answers we have. For example, a hard, hard question that has been asked down through the ages is this one: Why is there suffering in the world? The Bible gives the answer: because of sin. But no, we want more. That one’s too simple, too impersonal, especially when the suffering we’re asking about seems very personal. In fact, we’re often asking, Why me? Again the answer, All have sinned and come short of the glory of God, and the wages of sin is death. Another answer we don’t like. Shouldn’t being a Christian change that answer? Shouldn’t Christians be able to count on God to get us out of suffering? Again, the Bible gives the answers, ones we just don’t like. We are to expect persecution, to bear our cross, to share in the sufferings of Christ including the fellowship of His death. When the questions involve the Big Things of life—why am I here, how did I come to be, what lies ahead—the Bible gives those answers too (for God’s glory; by His creation; judgment and life eternal, either in His presence or cast from Him). But how? How does it all work? But to those weighty, cosmic questions, aren’t those answers illustrations of the earlier criticism—they’re simplistic, impersonal. I’ll answer with a set of questions of my own: Is Christ simplistic? Impersonal? Perhaps how a person views Christ determines whether or not that individual believes Christians have answers. This post is an edited version of one that first appeared here in July, 2011. A few years ago, self-designated King of High Wire, Nik Wallenda, took his act to Niagara Falls. It had been a hundred and fifty years since anyone made the attempt to cross the raging waters balanced on a wire stretched from shore to shore. I’m sure there would have been other attempts, but state law banned the feat inside the State Park. Wallenda, following in his famous grandfather’s tragic footsteps, was able to cut through the red tape and gain permission to make the try directly above the Falls, not further downstream where other famous performers worked. Charles Blondin was one who successfully made the walk. A famous circus performer in the middle of the nineteenth century, he gained special fame for his “different theatrical variations: blindfolded, in a sack, trundling a wheelbarrow, on stilts, carrying a man (his manager, Harry Colcord) on his back, sitting down midway while he cooked and ate an omelet and standing on a chair with only one chair leg on the rope” (from Wikimedia, “Charles Blondin”). Call it courageous or call it fool-hearty, these incredible performers know that one misstep may be their last, as was the experience of Nik Wallenda’s 73-year-old grandfather, Karl. There’s no place for detours or side trips, no wandering astray for a time, not even mentally. This is life or death on the straight and narrow. What a metaphor for life. All of us can take the straight and narrow–choosing the only Way, Jesus Christ who reconciles us with God–or we can step out into the wide open spaces and float or sail or dive merrily toward destruction. How restrictive, some say, to walk that one path, that only way. Why can’t a different path get us to the other side just as well? The wire might look scary and the walk might be buffeted by winds, but there simply is no other way. In contrast, free falling might look like fun, but that’s a way down, not a way across. Myself, I’d rather not make the crossing, but of course, in life, we don’t have that option. One way or the other, we will leave this shore. Knowing this, it seems imperative to learn everything I can about walking the wire. Of course we can change the metaphor. Rather than me walking the straight and narrow, I can instead put my trust in the skilled and practiced King to carry me across. On his back, in the wheelbarrow–He can take me however He chooses. It’s His show, not mine. This article is an edited version of one that appeared here in June 2-12. But then the question: Why is Jesus’s name above all names? The quick and easy answer is that Jesus is above all others—both in the heavens and on earth. This, of course, is true. But what precisely does “above all others” mean? Clearly Jesus is not “#1” the way sports teams are or hit songs or bestselling books or box office hits. MVPs or highest grossing movies are at the top only until another MVP is chosen or another movie earns more money. Their rating is tenuous at best. There’s nothing tenuous about Jesus being the name above all names. His position at the top is for all time. He will not be supplanted by another, by someone greater who will take away His title. His greatness is permanent. Another thing that puts Jesus’s name above all other names is that at the name of our soon and coming King, every knee will bow and every tongue will confess that He is Lord (Phil. 2:10). Those in the heavens and on earth and under the earth will recognize His authority, even those who have denied Him, hated Him, or rebelled against Him in the past. That’s not to say they will change their tune and embrace Him with love and acceptance, but they will not be able to ignore His place as ruler of all. So He holds a role that sets Him above all others. Thirdly, He cares like no other. Some might die to save a friend or risk their life to save a stranger, but Christ died for us while we were yet sinners, while we were walking away from Him, even while we were spitting in His face. He, the just, died so that He might bring the unjust to God (1 Peter 3:18). This relationship Jesus makes possible brings up another way in which He is above all others: Jesus forgives. All other gods or world systems are built upon Humankind’s striving to do good, to be better. Only Jesus takes us as we are. We don’t need to clean up for Him. He’ll take care of the clean-up in time, just as He takes care of the welcome as we run into His open arms (Col. 2:6). It is by Jesus’s grace, not my efforts, that I am His child (Eph. 2:8-9). “But when the kindness of God our Savior and His love for mankind appeared, He saved us, not on the basis of deeds which we have done in righteousness, but according to His mercy” (Titus 3:4-5a). Jesus is also like no other because He is God, come down, and He is Man, resurrected and ascended. He is not a hybrid but is a miraculous one-of-a-kind. Which reminds me. Some claim Jesus is the first of His “spirit brothers,” as if He is just like us, only better. There’s some truth to this idea, but a lot of untruth. Jesus is eternal. He didn’t have a beginning. He’s not created. He is the Creator because uniquely He and His Father and the Holy Spirit are One. Not simply one in purpose or some spiritualized meaning. God is One, not three. He is a Tri-unity. Jesus is a Person of this Triune God. Not “part” of God. There is no “part.” Jesus is God. The exact representation, Deity in bodily form. Some also use Jesus’s name as if it were magic. They want to speak His name and get whatever they want just as surely as if they’d waved a magic wand or made the thing appear with some incantation. It’s a travesty at best. The idea of reducing Jesus to wait staff is despicable as well as misguided. Jesus loves to give good gifts to His children. James tells us that all good gifts are from above (1:17). And Jesus has told us to ask whatever we will, in His name. But that doesn’t mean He is therefore forced to give us whatever we decide we want. Like any good father would, He will not hand us something dangerous—spiritually dangerous—just because we ask. He disciplines us and sometimes ignores our requests because, as James explains, we ask with wrong motives (4:3). One last point. Jesus is above all others because He has triumphed over the grave, and over sin which brought death into being. No other person or god or world system can offer us newness of life. Newness. Not the reincarnationist’s belief in a recycling of life here on this dying planet. Not some spirit existence in the great Other in which we lose our personhood. Jesus has conquered and will conquer, and in doing so, He has made us new creatures. He sees us as righteous and will clothe us with His righteousness. He is preparing a place for us and will raise us up in newness of life to live with Him there. Not to live and die once again. To live. His promises are unique and sure—because He’s gone before to show us how it’s done. Jesus, name above all names, because the baby who bore that name is in fact the Person who is above all others. Apart from some revision, this article first appeared here in December 2013. While I acknowledge that this world is filled with disappointment, I also recognize the beauty of God’s handiwork. Yes, there is sadness, but there are also joys. People get married, and babies come into the world. People get promotions and book deals and raises. People go on vacation and spend an evening with friends. There are so many joys, I can’t help but be hopeful about today. There are friends, too, bringing laughter and acceptance and companionship. How about family and loved ones—people who don’t care what our hair looks like in the morning and aren’t afraid to tell us if something is hanging from our nose. They love us in such everyday ways we sometimes overlook them, but when we list what we’re thankful for, they come to mind first. Yes, the joys and the people are part of God’s handiwork, but of course the natural world can’t be left out. Which of the beautiful things tops the list—the white-capped Rockies, the sunset over the Pacific, the snow-dressed forest, the green and golden fields, the woods clothed in autumn finery, the dew-kissed rose, the yellow-breasted song bird . . . the list is endless. Joy, people, creation. God’s fingerprints are everywhere, and each one brings hope. If things are this good today, can’t tomorrow be just as good? Or better? The greatest present hope is God Himself. The amazing truth is that God IS, though all else fails. God is the greatest treasure, so I may be poor in this world’s estimation, but if I have Jesus, I am rich. I may mourn, but joy comes in the morning. I may feel defeated, but Christ is the victor. I may be grieving, but not without hope. God, in His great mercy, gives us memorials so that we don’t lose sight of hope. He gives us sun after the rain, spring after winter. He gives us comfort in the midst of sorrow, kindness from unexpected places. He tells us to remember Him in the broken bread and shared cup at Communion. He established His Church as the “chosen race, a royal priesthood, a holy nation, a people for God’s own possession.” He gave us the Lord’s Day and reminded us to continue gathering together then. He gave us His word that is sharper than any two-edged sword—the perfect weapon against the false teaching our adversary throws at us. He taught us to pray and gives His Holy Spirit to interpret when we don’t know what we ought to say. This is the same Holy Spirit that lives in us—which is why we can truthfully say we are never alone. He is the One Jesus sent when He left earth, promising that it was to our advantage that He go. God’s presence in the form of His Spirit, His communication with me through prayer, His word, His fingerprints all over the world—these are things I have now that fill me with hope. Though our society is far from God, why not revival, I think. God changed my heart. He can change anyone’s heart, even atheists putting up anti-church billboards—Nebuchadnezzar was just such a man, and God brought him to his senses. Even people killing others in some mistaken view that they’re doing God’s work—the Apostle Paul was just such a man, and God opened his blind eyes. With God, there are no limits. To him who lacks hope, I daresay, He gives that, too. This article originally appeared here December 2014. For Me . . . What’s My Focus? 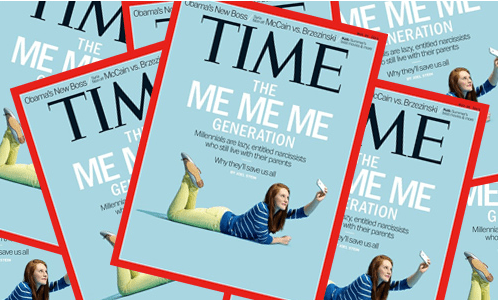 We live in such a “me” era, which started with the “Me Generation” back in the 1970s and has only escalated with the Generation Me of the following decade. So I hesitated to feature the words “For Me” in the title of this post. On one hand the phrase seems quite contemporary, but does it fit with what God’s word has to say? Actually “For me” is the beginning of one of the Apostle Paul’s most well-known statements recorded in the Bible: “For me, to live is Christ, and to die is gain.” (Phil 1:21 – Most translations say, “For to me . . .” but the difference doesn’t seem to affect the meaning). In other words, the concept of focusing on the individual has a place in Scripture. Essentially Paul was making a declaration about his life—what he valued, what was of utmost importance to him, and the short version that encapsulated the focus and direction of who he was, could be summarized in one word: Christ. Recently I heard a sermon that turned that question back onto the hearer, or onto those reading Paul’s statement. If I were writing the line, when I came to, “For me, to live is ___,” how would I fill in the blank? Would a truthful answer be something like, For me, to live is being a writer? Or since I’m such a sports fan and am so excited for the beginning of the new NFL season, would the truthful statement be, For me, to live is football. There are lots of options. For me, to live is my family. For me, to live is fiction. For me, to live is reading. Obviously there are many good things that can fit into the blank, but none more significant than Paul’s original statement. Nothing is better than Christ. Not good story telling. Not art. Not speculative fiction. Not any of the things we so often make our focus, the things we write about and value. Paul’s statement, instead of encouraging us to fit Christ in with our passion (I can fit Christ into my passion for football by praying for the players, for example), challenges us to live in such a way that Christ becomes our main focus. Narrowing our focus in that way can be hard. We love our family. We love our pet. We love our job. We love our community of people who think as we do and have a passion similar to our own. In short we love our speculative world. I love storytelling. I love competition. I love to discuss and debate. I love pizza. I love fantasy. I love the Dodgers. I love the Denver Broncos. I love my friends and family. The question is, do any of the things I love become the thing I live for? For me, to live is ___. Where does my love for my favorite things fit into the eternal scheme of things? Would I rather have Christ than football? Than fantasy? I don’t believe for one minute that imagination is evil or that speculative stories, by nature of their inventiveness, are evil. Otherwise, we’d have to believe that Adam and Eve, who were part of the world that God called “very good” had no imagination, and there’s nothing in Scripture to tie the fall of humankind to acquiring an imagination. So I have to conclude that our imagination is God-given. On the other hand, we know from any number of passages, that sin changed the color of our life. We don’t simply have a dirty spot that needs to be erased. Instead we are scarlet, and it colors our will and our intentions and our preferences and, yes, our imagination. But ditching our imagination does not deal with the problem. Only Christ’s blood shed on the cross can wash us so that what was scarlet becomes white as snow (Is 1:18). He didn’t wash only our will. Or only our preferences. He washed even our imagination. But just as our will must be brought under subjection to Him, so our imagination must be brought under subjection to Him. In fact, if we can say with Paul, For me, to live is Christ, than there’s nothing that we ought not bring under His rule and sway. In other words, for me, I’d rather obey Christ than read fantasy, than watch football, than spend time with friends. Or at least that’s where I should be. This article is a revised version of my post this week at Speculative Faith.